Before designing anything, we began in the research phase, taking a closer look at the issue and it’s context and ecological, sociological, and technological situation in order to break it down to the root cause(s). We realized quickly that for internationals it is way more complicated to choose and contract a health insurance. Out of the compiled and organized interviews and research, we developed personas, heatmaps, and benchmarked the current services. One key insight was that there are many different types of expats with many different needs, so there is no “one size fits all” when it comes to customer needs. So we created three personas to analyze the different journeys of expats. With our personas, we created journey maps documenting their needs and problems, actions, feelings, and the various touchpoints they interacted with. We used the journey maps to highlight opportunities that we saved for the next phase, ideation. We want to … Simplify the journey of Professionals and students as they choose and contract a health insurance provider, and navigate the bureaucratic processes. The underlying problem is… Germany has a variety of health insurance companies and choosing between one of them and handling the bureaucratic process of coming to Germany is complicated. Health insurance is not the first thing that comes into the mind of internationals. This is a problem because… Health insurance is mandatory in Germany. In fact, many require it simply to enter the country, or to apply for their visa. This step can cause large complications as it is embedded in a foreign, governmental sequence of migration services. Internationals need a trusted and reputable insurance that provides transparent coverage that is simple to obtain and emphasizes internationality with empathy. In this phase, we used tools such as the business model canvas, SCAMPR, to generate ideas, and finally tested them with rapid prototyping sessions where we role-played out potential narratives. 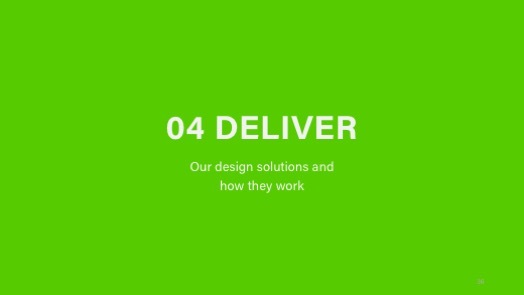 From the many ideas we chose four solutions to develop further, in order to improve the customer journey of SBK clients. To illustrate how the combination of these services could impact the new user experience, we created a video that showed how simple and accessible obtaining insurance with SBK could be if our new services were implemented. Configurator: Most expats know nothing about obtaining health insurance and what is required of them to live and work in Germany. Because the number of options is overwhelming, SBK has the opportunity to make their coverage completely transparent by creating an “Insurance Configurator.” With this interactive “plug and play” configurator, anyone can easily learn more about the services SBK offers while selecting different combinations of benefits and comparing the prices. Bonus scheme, dental, families-pregnancy, overseas protection, etc… The potential customer can then save these self customized options and even have the packages emailed to them so they can refer to them later making it more likely for them to remember and choose SBK as their insurance provider. Portal: Selecting insurance is low on the list of priorities for expats coming to Germany. With a myriad of tasks to get done for a smooth entry into the country, the amount of planning and paperwork can seem endless. SBK has the opportunity to make the process of obtaining insurance simple by creating an intuitive “Portal” that makes each step of the process easy. From the portal, customers can easily refer to their “checklist” and see which documents they have already submitted, what remains to be done, and the status of their application before their insurance is finalized. With the ability to easily upload necessary photos and documents digitally and have clear step by step instructions for completing the process, the Portal is the perfect way to mitigate stress that expats feel when expats apply for insurance causing them to turn to SBK for their insurance. Chatbot: Time zones, international calling fees, and language barriers can make it extremely difficult for expats to obtain immediate access to their questions and needs. SBK has the opportunity to enhance its reach to the expat community by implementing a Chatbot that caters brilliantly to those living internationally. With highly sophisticated automated technology the Chatbot is able to answer general questions that expats have regarding SBK’s service. Also available to chat via WhatsApp. By attending to the customer’s needs immediately, SBK is able to have a greater turnover of prospective customers to customers. Experts for Expats: Expats have a strong desire to feel that someone understands their specific needs. Experts for Expats is a way for SBK to cater directly to expats by emphasizing the fact that SBK can empathize with their distinct needs- the key is to make them extremely accessible. Our expat team is available for you Monday through Friday from 8:00 am to 6:00 pm(CET) by phone and will gladly advise you without international fees! A team of well trained “expat experts” is equipped and available to answer every question that an expat has. Not only are experts available by phone, email, and chat, they will also host webinars that walk expats through the entire process of applying as well as how to utilize their insurance once they are in Germany. By taking the Personal Consultant one step further for expats and placing the emphasis specifically on expat needs, SBK will attract expat customers who want to feel understood and guided through the insurance process.